This entry was posted in Blu-Ray, Criterion Collection, July, Months and tagged blu-ray, bottle rocket, criterion, criterion collection, james caan, july, luke wilson, movies, owen wilson, wes anderson. Bookmark the permalink. how have i missed this? and i still haven’t seen moonrise kingdom. very informative review, thank you, i may give this a look. Moonrise Kingdom is his perfect film but I have yet to see a film of his that I’ve truly disliked. Hope you get a chance to dive in! Not Anderson’s best, but still a pretty enjoyable flick that doesn’t seem like it’s trying too hard to get us to laugh. Both Wilson’s are hilarious in here, too. Nice review Andy. Thanks, Dan! If you don’t pay close attention you’ll probably miss most of the humor from the Wilsons here, now Owen Wilson really sets up his comedic deliveries and I find it kind of annoying. Good review, I haven’t seen this but I love Moonrise Kingdom so I’m willing to give any Anderson movie a go at this point. I’m not a huge fan of Owen Wilson either but I do think that he works better with some directors than others (I.e. Anderson or Woody Allen). If you had to pick your favorite and least favorite movies with him what would they be? Lease favorite would definitely be Wedding Crashers or You, Me, and Dupree. His best work in my eyes is definitely with Anderson. Wow! Owen and Luke Wilson’s first ever feature film. (Not to mention Wes Anderson’s). I’ve just added it to my MUST WATCH list. I’ve been getting really into watching early performances by actors I like. Such as Tom Cruise in Risky Business, Vin Diesel in his self-directed Strays, and Ewan McGregor in Shallow Grave and Trainspotting. On a side note, I tried watching The Royal Tenenbaums the other day and I just wasn’t getting into it. I’ll have to try it again when I’m in the right mood for a Wes Anderson flick, I guess. That’s really interesting, I may have to try something simliar with some of my favorites. 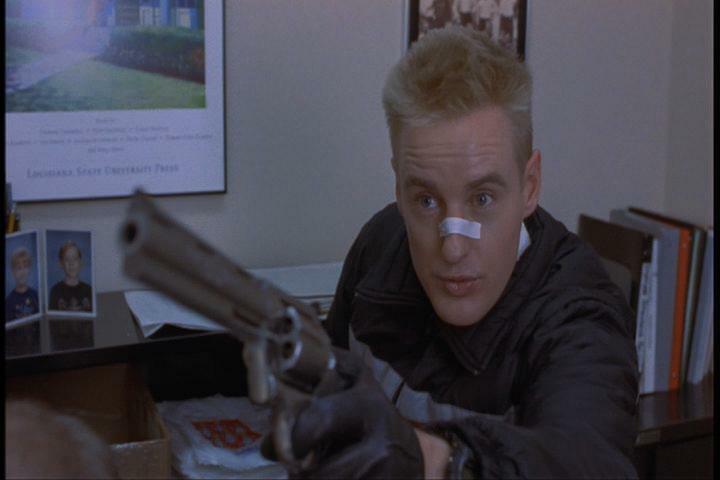 The Wilsons both give great performances in Bottle Rocket, actually. I quite liked Royal Tenebaums but it’s been a few years since I’ve watched it. I definitely think you need to be in the mood for an Anderson movie, though. There’s only so much whimsy one can take if you aren’t in the mood. That’s true. I could tell it was a well-made film, and if I was in the mood I’d enjoy it. Unlike the Expendables. It doesn’t matter what mood I’m in, I’m not diggin’ that. I haven’t fully jumped into the Wes Anderson pool yet. Rushmore and Royal were good, buoyant films. Moonrise was a disappointment. Your lukewarm review of Bottle Rocket has me intrigued — visually astonishing at the very least. 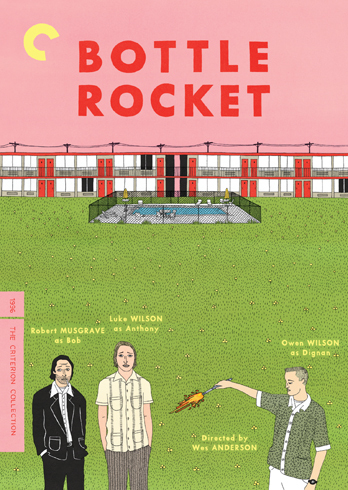 Bottle Rocket may be up your alley if you’re not fully on board the Wes Anderson whimsy express. It’s clearly got his trademarks on there, but it’s not as in-your-face as Moonrise. Yeah, I think if I had started with Bottle Rocket and worked my way through Anderson’s films chronologically, I would appreciate what he had done. For someone that just saw Moonrise Kingdom and wanted to start from the beginning, I really think they wouldn’t appreciate it as much. You’re totally right that you either get it or you don’t, and it’s not a slam against the viewer or Anderson, they are just very specific films. I thought his films had gotten tiresome too, until Moonrise came out and it’s making me go back and revisit some of his works with a fresh(er) perspective. Good stuff over there – what are you going to do when you accomplish your goal? Start over I hope? I think I would need to quit my job to accomplish that one! I was mulling over the idea of watching 200 movies I had never seen before, which would actually be quite a feat. I wouldn’t consider it Anderson’s best work, but I really liked it. Though it’s not quite up there with The Royal Tenenbaums and Moonrise Kingdom, I think Bottle Rocket’s a great comedy. Good review. Nice one Andy. I dug this out myself a few years ago after developing a taste for Anderson’s stuff. I really liked it but I agree, his later movies are much better. Personally, The Darjeeling Limited is my favourite but I’ve yet to see Moonrise Kingdom. Confession: I fell asleep during Darjeeling but I own it so I’ll be revisiting it sometime soon. I love Darjeeling man. It really resonated with me. Give it another go Andy. It’s worth at least that. Nice review 🙂 I’ll try to see this one soon. I like Wes Anderson a lot and it’d be nice to see how it all began. I had no idea Lumi Cavazos was in this; that’s interesting. Hope you enjoy it, I’ll be interested in hearing yours thoughts on it. I don’t think I’ve seen her in anything else, is she a popular Spanish actress? I was thinking “Mexican” and typed “Spanish”, I’m sorry. I have heard of that one but never watched it. She’s pretty in Bottle Rocket. I adore this movie. One of my favorites. I typically put this at the bottom of the Anderson list. For all that it did with a decent story, I still feel that it isn’t the cult classic that a lot of people think it is. I mean, yeah it’s good, but as a freshman entry for Anderson, I don’t think it deserves all the praise it receives. That is just me though. Good review. I can understand the praise but I agree that it’s not his strongest, but since it’s his first work I think it’s commendable.